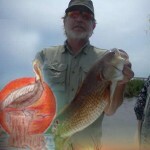 It was that Captain Dave fished the area for over 40 years and had a boat, camp, and connections. It was an easy transition for him. He loved to fish, did just that, regularly. 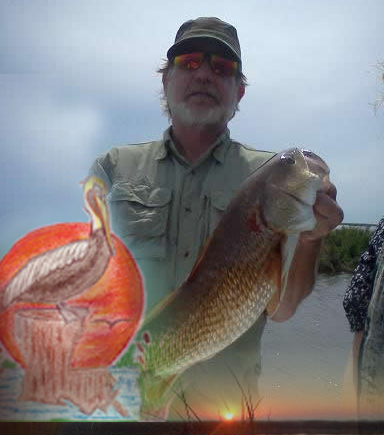 Over the years of growing up in Happy Jack in Plaquemines Parish , his family had a fishing camp and were down there ever since he was five years old. “Much was learned about that basin over the years, and a lot of which no longer exists because of coastal erosion. Some of the areas that have vanished from sight (above the water) but are still there, just submerged, and make excellent fishing spots,” according to USCG licensed fishing charter, David Terese – AKA Captain Dave. Back in early 1990s, Captain Dave moved to Barataria and bought his own place. Now he fishes from the north side of the basin, instead of the east, but still winds up in a lot of the same areas he grew so familiar with. “Since I started running my charter business, I’ve meet a lot of different people. People from all over the world, and they’ve come to Lafitte and Barataria Louisiana to experience the area, including the local culture and cuisine,” Captain Dave says with a smile. “‘Fish Jefferson Parish‘ brings all the guides together in a directory to help people locate these guides, and for the guides to help tourism by taking an active role in the fishing charter industry and local charity events. This August, some of the guides are doing an NBA sponsored event for Children’s Hospitals, and are happy and proud to help the children, their families and the community,” proudly, Captain Dave admits. For more information about this charity event, visit…Hook, Line and Sneakers Fishing Tournament.